At present, KCR track (Loop line) is in bad condition. Rails and Sleepers have damaged. Stealing of rails is continue. In many places railway track has buried in to the ground. Signaling and Communication system is also out-dated and out of order. KCR stations and land are encroached upon by land mafia and criminals. Only two trains now run from Wazir Mansion station to Landhi Jn. Due to transport problems and public pressure, Federal Government decided to revive KCR. Plans have been in the offing for the revival KCR since 1999 including a Master Plan made in 2003. At last a Japanese Company "Japan External Trade Organization" has agreed to give soft loan of 1 billion dollars for revival KCR. The project will cost around 1.1 billion to 1.25 billion dollars. According to the plan 50 Km network from Karachi City to Drigh Colony via Liaquatabad (Loop Line) and Karachi City to Landhi Jn (Main Line) will be revive. KCR will have dual track and 20 km to 25 km track will be elevated passing through densely populated areas including Baldia, SITE, Nazimabad, Gulshan-e-Iqbal and Gulistan-e-Jauhar. New dual track will be laid for KCR along with PR main track. The first phase of the KCR revival will completed in 12-14 months and trains will be start to run on the track from City Station to Liaquatabad Station. Soon after the completion of the first phase, work will be started on the second one. 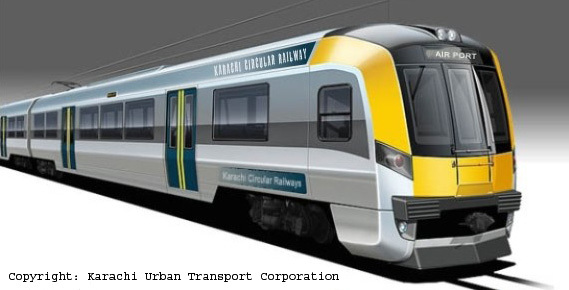 z Karachi Mass Transit is the plan of modern rail based transport system in Karachi. According to the plan the busy roads of Karachi will have under-ground and over-head railway corridors and Light Train will be run. 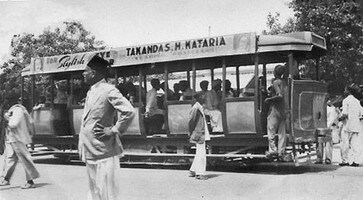 Karachi Circular Railway is also a part of Karachi Mass Transit. Government is also considering to build 6 routes on BOT (Build-Operate-Transfer) basis.